On iOS devices, install Yam Display (USB) or Yam Air (wireless) from the App Store. Yam Display for macOS Mojave. 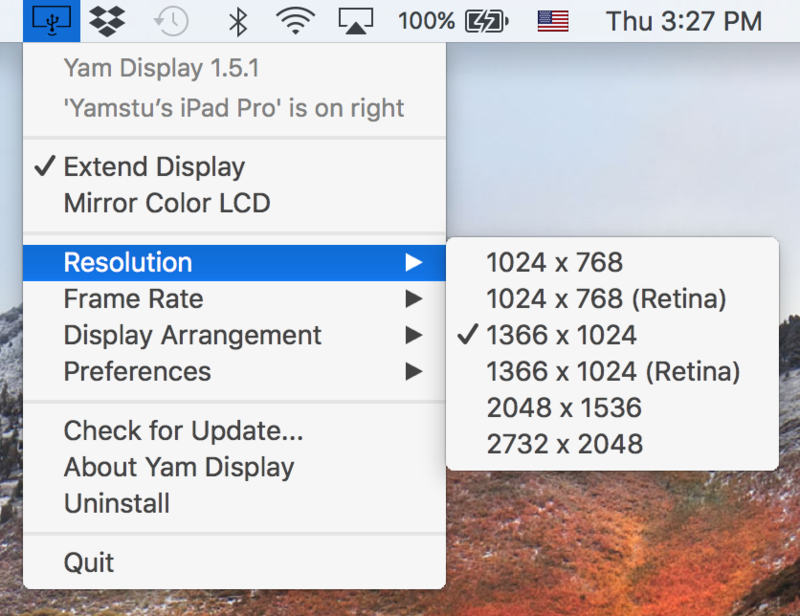 Yam Display for macOS High Sierra. Yam Display does not connect. What macOS versions does Yam Display Support? (c) 2019 Yamstu Inc. All rights reserved.